Forced to flee her father's brutal heir, Anneliese Barlow masquerades as Lisa Brown, a servant, in the grand country mansion of the Duke of Worthington. Discovering the life of gentility she had known was a virtual fairytale, reality a dark and forbidding place, she faces danger at every turn. Captivated by the beautiful maid, Lord Marsden decides the only way to keep her safe is by offering her his protection. With all hopes of returning to her previous station lost, Lisa surrenders her virtue to the man she has come to love almost beyond reason. Finding unexpected passion in Nathaniel's arms, her senses are awakened to a world of sensuality she had not known existed . . . a world not without grave risks. 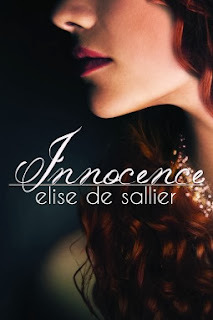 Innocence by Elise de Sallier is a new romance title from The Writer's Coffee Shop, released December 15, 2013. 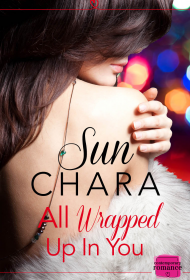 All Wrapped Up in You by Sun Chara is a new romance title from HarperImpulse, released December 19, 2013. With no leads, no witnesses and four teenage victims, it's a race against the clock for Detective Robert Hanson to catch a vicious serial killer. But he gets thrown slightly off course when Carmen Jiminez asks for his help. Fiercely independent, the pretty pregnancy counselor is the only woman who has ever tempted Robert to give up his freewheeling bachelor life. Yet protecting Carmen from mysterious "accidents" and vengeful clients is just as difficult as winning her trust. And the only way he can keep her and her brother safe is to conceal a wrenching secret—one an obsessed killer can't wait to use. Now Robert's newfound family is right in harm's way, and time is almost up…. 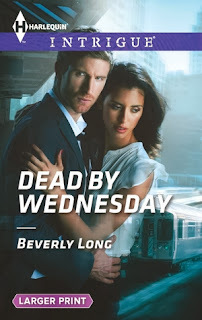 Dead by Wednesday by Beverly Long is a new romance title from Harlequin Intrigue, released December 17, 2013.